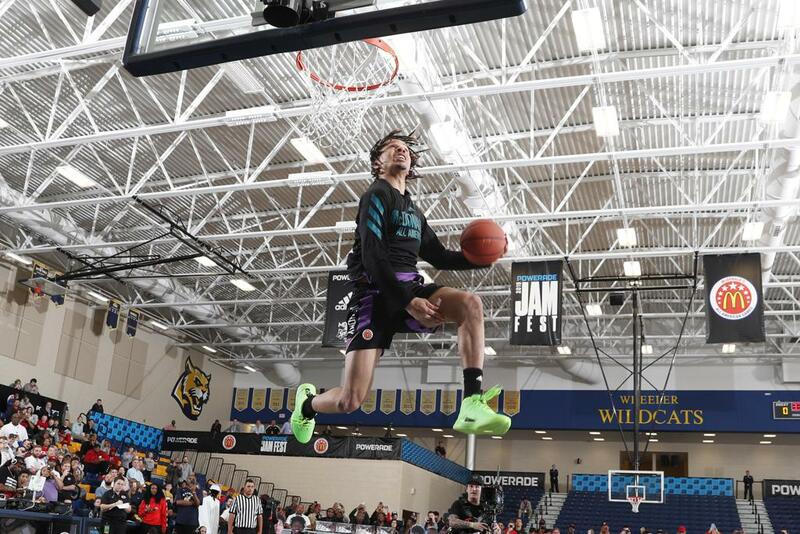 ATLANTA, GA -- Five-Star point guard Cole Anthony was one of the obvious selections to this year’s McDonald’s All-American Game. The Oak Hill Academy (V.A.) standout liked how he performed on day two as he is getting comfortable as the festivities have gone on. There were 90+ NBA scouts on hand at yesterday’s practice, but Anthony makes sure to stay consistent with his approach no matter who is watching. When it comes to his college decision, he is considering five schools in Georgetown, North Carolina, Notre Dame, Oregon and Wake Forest. North Carolina and Oregon still remain in the NCAA tournament. He mentioned that he looks to make a decision possibly in early April so he will be keeping a close eye on these two programs as they continue their postseason runs in the Sweet 16. Oregon really turned the corner toward the end of the season, which has caught Anthony’s eye. He sees himself fitting in at North Carolina into a role similar to a current Tar Heel standout. Anthony and his family are very close to Georgetown Head Coach Patrick Ewing, which is a big reason why he is considering the Hoyas. Wake Forest had another tough season, but that doesn’t change much for Anthony on how he looks at their program. Head Coach Danny Manning built a close relationship with Cole during their time with USA Basketball. Last, but certainly, not least Notre Dame still remains a viable option for him. He is impressed with Mike Brey’s ability to develop talent. Anthony is one of the last premier prospects still on the board as he and his family are making sure they only make one college decision.